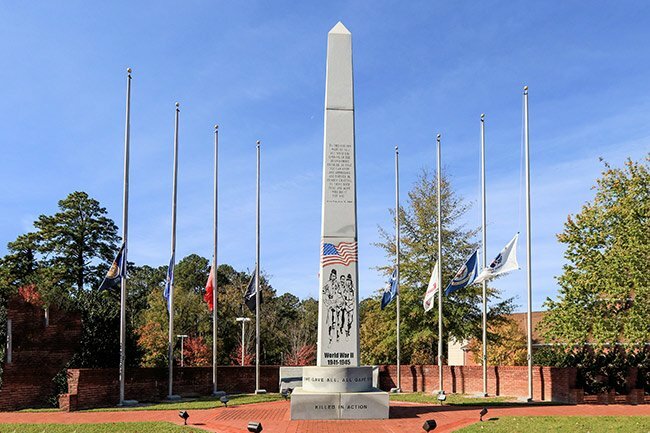 The Lexington County Veterans Memorial was crafted from over 80 tons of granite and erected in 2002. Located in the Town of Lexington. 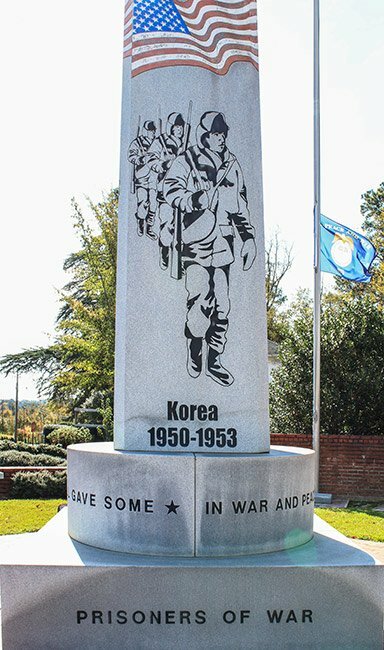 The monument is dedicated to World War II, Korea, and Vietnam veterans. The monument has four faces, each inscribed with a quotation. Saint Peters Cemetery in Columbia, if you go to the website, there is even a photo of his grave. We hope this helps you all! Thanks again for all of the service and sacrifices you all have made for us, God Bless! I am researching for my Marine Brother who served in Nam in 66-67. I was going into country as he was coming out. His dear friend Marine LCPL William Edward Teer died in 1966 in Nam. He was born January 3, 1946 and was from West Columbia. We are trying to locate his grave. He was single and 20 years old. His body was recovered and we believe he is buried in Columbia, probably in West Columbia . He was of the Catholic faith. If you can help with finding his gravesite , it would be of great benefit and satisfaction to be able to visit his grave. Thank you so much for your dedication and service! I was the secretary and later treasurer of this project. My name is below Thomas Comerford. I wrote a historical booklet on this monument which is available in the South Carolina Room, Lexington County, SC Library. Beautiful monument. I don’t understand why the memorial has the ending year of 1972 for Viet Nam. The last US casualties took place in April 1975 when two Marines from the Embassy were killed in action at the airport and when two Marine pilots were lost in a crash at sea of their CH-46 helicopter. All four were lost during Operation Frequent Wind, the evacuation of Saigon. This operation qualifies participants for the Viet Nam Service Medal. I don’t know how many Lexington County residents might have participated. I was there as a member of F Battery, 2nd Battalion, 12th Marine Regiment(artillery) attached to 3rd Battalion, 9th Marine Regiment (infantry). There were numerous other 3rd Marine Division units there as well. You are correct! Thank you – we have fixed the page! I think the description of the monument should say 80 TONS of granite rather than 80 pounds. 80 pounds of granite would make a very small monument indeed.